BALMER WILCOCK in WORSLEY are delighted to offer for sale this breath-taking NEW BUILD detached family home situated upon a superb new development in Boothstown, Built to the highest quality with a 10 YEAR NHBC WARRANTY, this wonderful property offers well proportioned living space that is ideally suited to modern family living coupled with gardens to both the front and rear whilst a driveway and garage provide ample off road parking. With limited availability this fabulous home is sure to attract significant interest and as such, an early internal inspection is strongly advised to avoid disappointment. The location is within easy access to a host of amenities including well renowned public and private schooling. 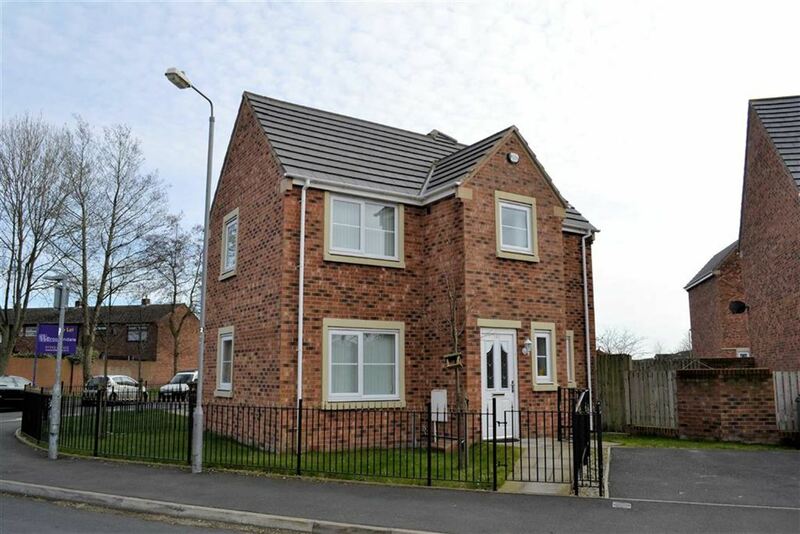 It is also well-placed for major transport links, to include the M6, M60, M61, M62 motorway networks, making it ideal for those looking to commute into Manchester and across the North West of England. The generous accommodation simply must be viewed internally to be fully appreciated and comprises an entrance hall, cloakroom/wc, principal living room, separate family room and a splendid open plan living kitchen with integrated appliances to the ground floor. On the first floor a landing, four good sized double bedrooms (master with luxury en-suite facilities) plus a stunning four piece family bathroom can be found. Outside there are gardens to both the front alongside a driveway and garage which provides ample parking arrangements.